Come join the Patterson Fire Dept. No. 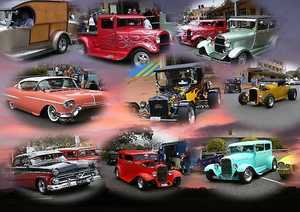 1 on Saturday, October 20, 2018, for our Annual Truck and Car show! Enjoy a variety of vehicles, from everyday cruisers to classic antiques. Enter your Truck or Car for a chance to win an Award! Come on down for a day filled with family fun! In case of inclement weather, a rain date has been set for October 21st. The registration will begin at 9:00 AM for those who plan on entering a vehicle in the show, and the fee for entering is $10. Those who register a vehicle for the show will be provided breakfast for a small fee of $4.00. Hope to see you all there!